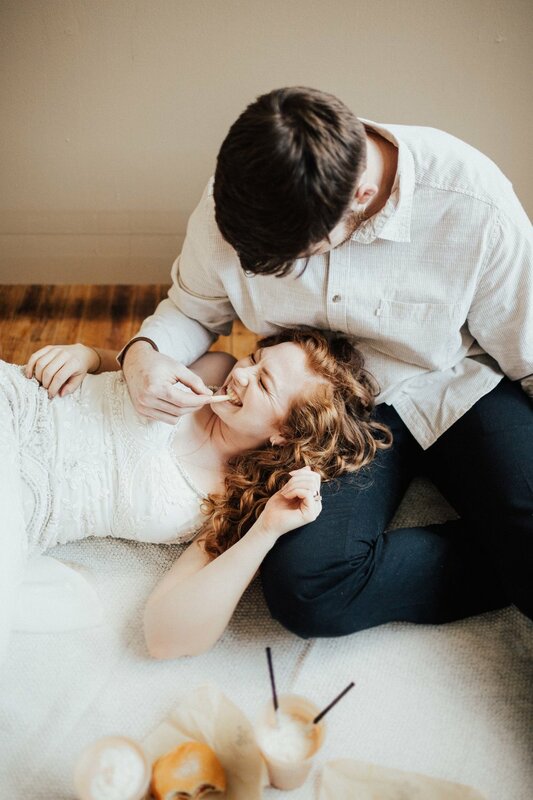 I want to share the first part of our Portland Studio elopement inspiration from the OSP Workshop! We met in this super clean and minimal studio in downtown, where a spot was set for burgers & fries in front of a simple backdrop. Our models enjoyed a meal together, and I loved the thought of the couple grabbing an easy meal to celebrate their union together. It was ever-so-cute & clever, and SO very Portland. Here's the first little bits from the shoot, with a more upscale and chic look coming soon to complete the look!